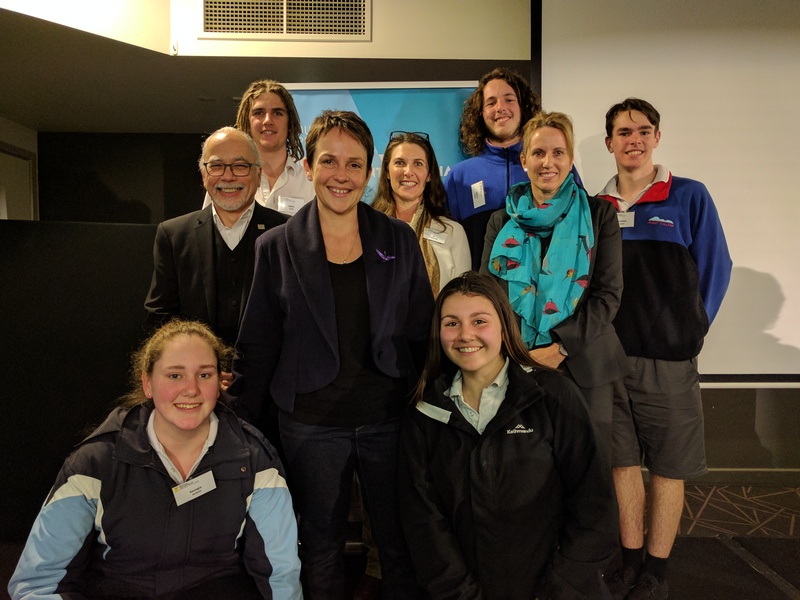 High school students from Ararat Rural City had the chance to address the Minister for Regional Development and Minister for Agriculture Jaala Pulford and the Minister for Planning Richard Wynne on Thursday night at the Central Highlands Regional Assembly. Held in Creswick, the Assembly was attended by a large crowd, including representatives from Ararat College, as well as Ararat Rural City Council Interim CEO Colleen White and Councillor Jo Armstrong. Regional Partnerships were established in 2016 to give regional communities a greater say about what matters to them and ensure their views reach the heart of government. This was the second meeting of the Central Highlands Regional Assembly, following its inaugural gathering in November 2016 in Ballarat. Ms White said key priorities impacting the Central Highlands region were discussed on the night including new and renewable energy, economic development, community health and wellbeing, education, and transport and digital connectivity. “It was a fantastic evening full of thought provoking workshops and conversations with a diverse range of community members,” she said. “Information collected throughout the evening will be reported back directly to the State Government through the Central Highlands Regional Partnership Committee.